Originally published by Simon Black at Sovereign Man. If you’re one of the 1,000+ subscribers who has take the trip down to Chile, you might have had the pleasure of meeting Marco, my right-hand man in Chile. One of the great things about Marco is that he intuitively understands our Sovereign Man philosophy. Because he lived through it. You see, Marco is originally from Argentina. And he has some extraordinary stories about what it’s like to live through a sovereign default and currency collapse. “On December 1, 2001, Argentina’s economy was in trouble. Unemployment was high, debt was high, and recession had taken hold. But life was somewhat ‘normal’. Basic services still functioned. And no one had to really worry about… food. Or water. Then it all changed. Literally within a day. On December 2nd, our bankrupt government imposed measures that essentially froze everyone’s bank accounts. You can just imagine– one day having access to your funds, and the next day being completely cut off. Within a matter of days, people were out in the streets doing battle with the police. The government soon defaulted on its debt, and the currency went into freefall. I was doing some post-graduate work in Boston at the time. As a foreigner in the US, I wasn’t really able to work… so I was living on a tight budget from my savings. Yet, overnight, I went from being able to pay my rent and living expenses to being completely cut off from my funds. I had nothing. But when I spoke to my family back in Argentina, I realized that they had it even worse. Everything became scarce. The electricity went out all the time. Even food on the grocery store shelves ran low. You would eat what you had available at home. And in a way, food became a medium of exchange. Within just a few days, people went from having confidence in their currency to not trusting it at all. No one wanted to accept paper money anymore, especially for something as valuable as food. And if they did, it would be at 2-3 times the normal price. With all of this unfolding, I flew back down to see my family. My father called me and said he had stashed his life savings in US dollar cash in a bank safety deposit box. He needed my help getting it out. 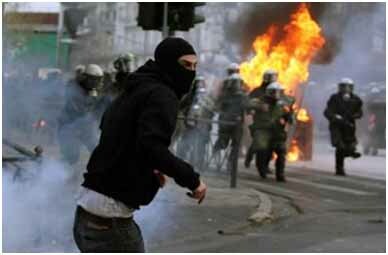 When we arrived to the bank, there were thousands of people in the streets rioting. The police were there in paramilitary gear. It was so tense, we had to bribe someone just to get inside the bank. Fortunately we were able to get access to the box. But… we had to walk 3 or 4 blocks to the car. It was half panic, half adrenaline rush walking past an angry crowd with my father’s life savings shoved down our pants. Looking back, this was crazy. But at the time, it was the only way. Then came the even harder part– getting it out of the country. We had friends who would take rowboats full of cash to neighboring Uruguay. But this was incredibly risky. At the time, the only legitimate way to get money out of the country was buying ADRs (Argentine public companies listed on the New York Stock Exchange). And the only reason we were even able to do this was because we had the contacts. But we got killed on the fees. The commission alone was 20%, and then, of course, the stocks we purchased took a dive. So my father ended up losing about half of his savings trying to get it out of the country at the wrong time. What’s funny is that we eventually ended up suing the government. They had destroyed everyone’s life savings, and even seized pensions as well. The government dragged out the legal process for years, almost a decade. They were hoping that all the retirees who were suing them would simply die off, and the problem would go away. Eventually, we won the case (along with thousands of others). But the judge gave the government a ‘suspended sentence’. So, no penalty. There are so many more stories to tell about this… and fortunately I can laugh about it all now. But at the time, it was beyond stressful. The best way I can describe it is despair. And this is really the worst emotion you can have. Because when you’re in a state of despair, you’re hopeless. It’s a terrible position to be in. Life becomes hell because you do not know whether you are going to be able to put food on the table the next day. And in such a state of despair, you’re not in a position to make good decisions. It’s all about survival. If only we had moved some money out of the country before, or taken steps to safeguard his pension, life would have turned out much differently. It’s like that old saying– better to be a year (or decade) too early than a day too late. Because one should never underestimate the speed with which things can unravel. B. Why Most Disaster preparedness Experts have No Clue what the Hello They’re Talking About! Emergency Preparedness Planners Are not Planning on Saving you during a Disaster! I’ve talked to a number of these people over the years, and two thing always become glaringly obvious. First, these people usually despise anyone outside their Ivy League discussion groups – especially anyone who calls themselves a prepper. Second, they have no idea how to help people become better prepared, and many of them have no idea how to respond to an actual emergency. Let’s briefly deal with the first point, because I believe they’re behavior is a huge problem – one that is likely to cost many lives. Do Preppers deserve a bad rap? It really depends on how you look at the situation. While I’ve been very critical of shows like Doomsday Preppers, I have met some of these people, and a lot of them are actually incredibly knowledgeable. Yes, some are only on these shows to exploit they’re 15 minutes of fame, but there are a great number of people who call themselves preppers that could be incredibly useful to the general public. The problem comes in how the media, and shows like Doomsday Preppers, have chosen to portray these people. Instead of highlighting them in a way that can help better prepare the public, we often only here the word prepping when it’s tied to some psychopath who just killed a bunch of people. Sadly, and something that leads me into my second point, is the fact that these “preppers” often have more practical knowledge than the emergency preparedness experts our government pays to do this for a living. 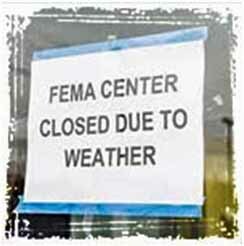 Emergency Preparedness… or just Useless Government Bureaucracy? I’ve been to a number of emergency preparedness conferences and expos, and the one thing that bothers me the most, is how clueless most of these people are. While most of our first responders have a pretty good idea of what they’re doing, the bureaucrats – and the idiots who run agencies like FEMA – seem to have more interest in how they look than they do in saving the public from disasters. Case and Point: Last year I attended an emergency preparedness summit that literally surprised the hell out of me. I went hoping to get a better idea of how emergency preparedness people plan for disasters, what I came away with was anything but helpful. Conference after conference was devoted to things like social media, how to respond to the media, and how to basically cover their asses once they screwed something up. Hour after hour was devoted to discussions on how to respond to the media when things didn’t go as planned. These people were literally reviewing case studies of all the times they screwed things up, and then talking about how they could have better handled the media backlash. I couldn’t believe it; instead of reviewing these screw ups, and then figuring out how to prevent them, they instead choose to figure out how they could better respond to media criticism. Government at its finest! You are the only First Responder you can really count on! A couple days ago, I wrote about my experience of watching someone get sucked under the water while attempting to swim across a cove I was fishing near. This experience, along with my experience at a number of emergency preparedness expos, has solidified my belief that you need to be your own first responder. Whether it’s being prepared for future disasters, or being prepared to defend your home from intruders, the only person you can really count on is yourself. In most disasters timing is everything, and you simply cannot rely solely on emergency responders to keep you safe. You must be prepared to deal with emergency situations yourself, even if that’s just keeping things stable until emergency responders can respond. You are the First Responder during an Emergency, and you need to keep that in mind going forward. It’s your responsibility to do everything you can to learn the skills, and the techniques you need to survive in an emergency situation.